I didn’t pick these countries arbitrarily; I have been to all of these destinations myself. I can tell you from first-hand experience that they’re not just cheap but also among the most exciting places to visit. This is the sixth year I’ve made this list, which has grown and changed over time. Some of these picks might strike you as a bit alternative, depending on where you’ve already travelled. 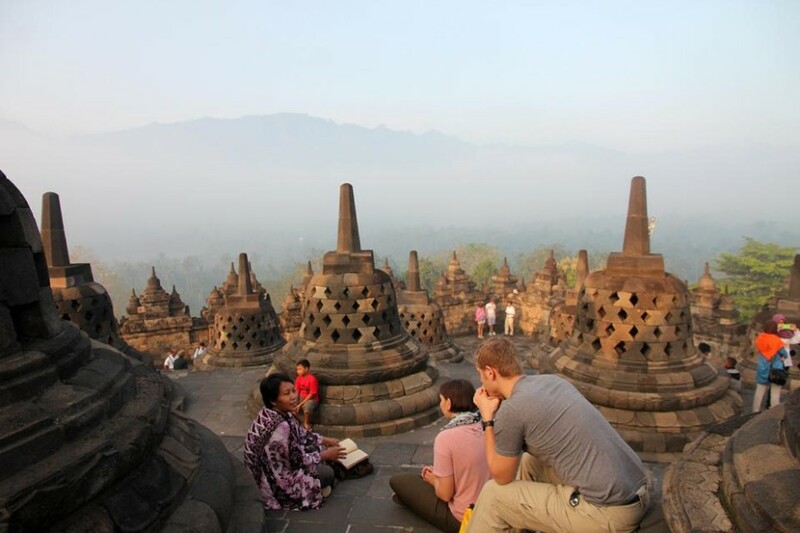 But don’t be put off as travelling in these countries is easier than you might think. Of course, these are some of the cheapest countries to visit once you get there. It doesn’t yet take into account the cost of flights. 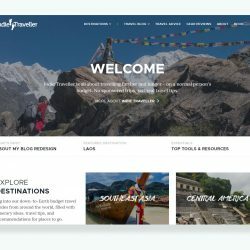 Be sure to check out my guides on how to find cheap places to fly to. Once you’ve landed, use my top tips for traveling cheaply to never spend more than you have to. Why: When I visited Georgia last summer, it was love at first sight. 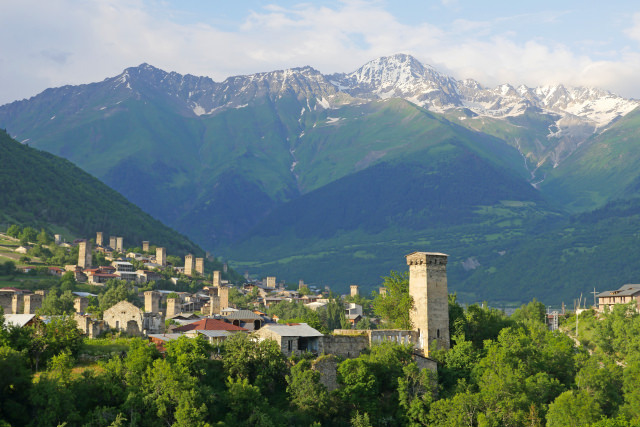 This small country in the Caucasus is one you’ll probably be hearing more about it in the years to come. It’s very welcoming and easy to travel in… and very easy on the wallet, too. It all starts in the eccentric capital of Tbilisi, where crumbling façades of traditional wooden Georgian houses stand next to Soviet-era architecture and daring contemporary designs. It’s a bit of a crazy architectural jumble, yet it has a gentle energy that will surely make you want to stay longer. 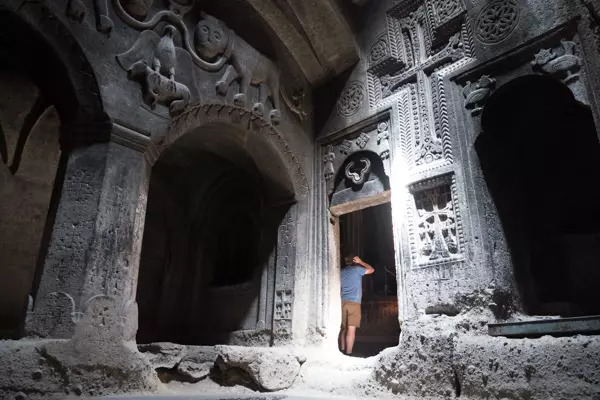 From Tbilisi, you can explore the stunning Caucasian Mountain range, get your feet wet in the Black Sea, and visit ancient hilltop monasteries (and a few of them inside caves) all over the country. Oh yeah, Georgia is super cheap. In parts, it’s even cheaper than Southeast Asia. Don’t be surprised to find $5 dorms or $15 a night budget rooms. 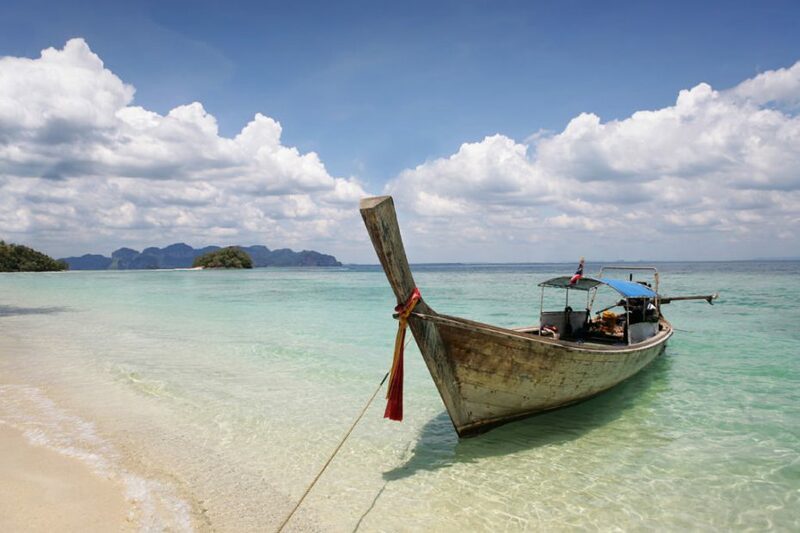 Why: Wedged between the ever-popular Thailand and Vietnam, the landlocked country of Laos is often wrongly overlooked. Many people still think that Laos is a ‘crazy party place for backpackers’, but this was true only for the town of Vang Vieng during the early 2010s. Today, it’s a different place. 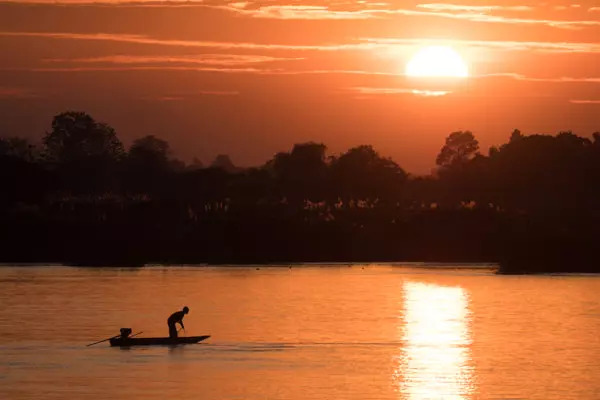 Laos is the Southeast Asia destination for adventurers. It’s sparsely populated, mountainous, and has nearly 70% forest coverage, and this makes it a paradise for outdoor activities like trekking, climbing, kayaking, zip-lining, and hot air ballooning — all at extreme budget prices. Thanks to improved infrastructure Laos has become more accessible, though not while losing its low-key rural vibe. If you want to escape the crowds and crave some authenticity, skip Thailand and go to Laos. Don’t miss: sleeping in tree huts and zip-lining through the jungle canopy at the infamous Gibbon Experience. 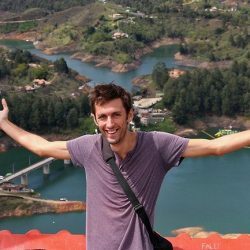 Why: Argentina is a ridiculously cheap country to travel in 2019. While its seemingly never-ending economic troubles are bad news for Argentinians, it does present an excellent opportunity for visitors (and the country could use your foreign cash). For anyone with hard Western currency, it’s rarely been cheaper to visit Argentina. Back in 2012, a US Dollar would get you about 5 Argentinian pesos. Now it gets you 40. While flights to Argentina will cover quite a distance for many, once you get there you’ll enjoy great value, despite some prices rising to match inflation. Oh, and it’s a delightful country to travel of course! I explored the north—including Cordoba, Salta, Buenos Aires and the epic waterfalls of Foz do Iguacu—and loved every bit of it. And don’t miss the Patagonia mountain region in the far south, famed for its snowy peaks at Torres del Paine and the chance to see penguins and whales. Note: the Argentinian peso fluctuates all the time. Be sure to check the latest situation. Why: Oh, Nepal… you had me at “namaste.” The kind-hearted nature of the Nepalese and the wonderful bustle of Kathmandu instantly enchanted me when I visited in 2017. If you’re thinking of a trip to South Asia but don’t want quite the hassle of India, then Nepal is simply the place to go. Nepal also happens to be one of the world’s cheapest places for mountain trekking, whether that’s guided or independent. There are routes throughout the Himalayas that are very well-supported and have many tea houses where you can eat and sleep. When doing the epic 7-day trek to Annapurna Base Camp I spent just under $20 a day—and I was hardly being stingy. Why: Whatever you think Romania is, it probably isn’t. The Transylvania region, in particular, defies expectations — with its cute medieval towns, ancient fortified churches, and spectacular Carpathian mountain range. It’s a beautiful country with great food and friendly people, and one of my favorite destinations in Europe. Let’s be honest here: some folks out there have pretty bad stereotypes about this country. Some think it’s dangerous (lol, no). Others think it’s the land of ‘gypsies’ (nope, that’s Romani people you’re thinking of, not Romanians). I recommend that you keep an open mind so you can discover this relatively little-known treasure of Europe. Don’t miss the chance to travel around the spectacular Transylvania region… yes, that’s the place Dracula is meant to be from. It’s great value too. You can get by on a backpacker budget of about $30 – $40 a day. If you’re more in holiday mode, you’ll enjoy some great prices too. There are stylish B&Bs starting at $30/night, and even in a fancy restaurant I struggled to spend more than $25 a person. Why: Ahhh, Mexico. It’s often such a misunderstood travel destination, especially among Americans misled by sensationalized news reports. Apart from a few non-touristy regions, it’s actually a perfectly safe country to visit. It’s great for a cheap beach holiday, but lends itself equally to a culturally-focused backpacking adventure. The classic travel route runs from Mexico City to Oaxaca and Chiapas states, ending on the Yucatan Peninsula. While resort cities like Cancun and Playa Del Carmen can be a little pricey, you can get much better value (and fewer crowds) in many nearby places along the coast. 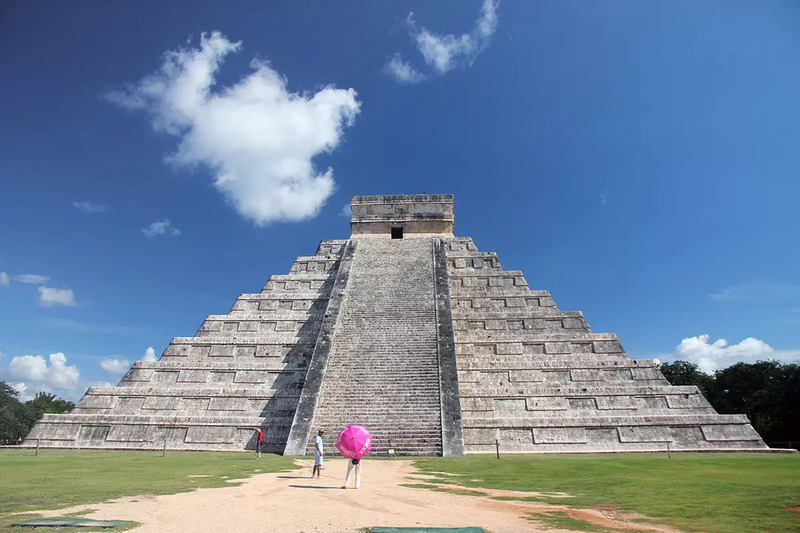 Be sure to check out our in-depth guide to the Yucatan Peninsula, written by our Mexico correspondent who spent several months uncovering all the best places to visit. 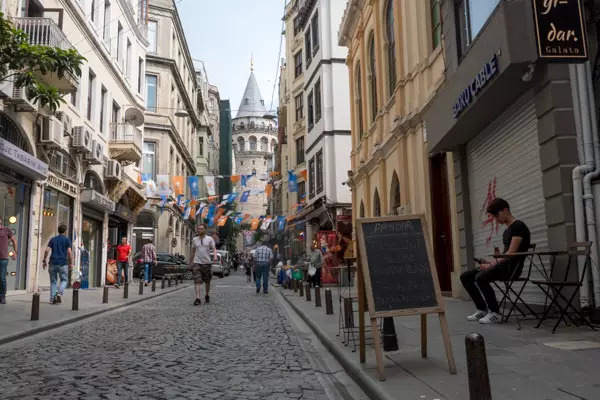 Why: Turkey has suffered economic problems lately, though its weaker currency makes it a cheap place to travel right now. I revisited Turkey last year on a stopover in Istanbul, and was reminded of what a great cultural destination it is. Sat between East and West and once home to the Byzantine and Ottoman Empires, you’ll find Roman ruins, cave cities, buzzing bazaars, and of course plenty of Mediterranean beaches. Why: From white sand beaches to jungles and savannahs, and from blue flame spewing volcanoes to remote rainforests where you can meet orangutans in the wild… Indonesia is a whole world to discover. Bali has long been the tourist hot-spot, but I think it may have gotten too popular for its own good. The beaches are dirty and the cities overcrowded, though the north side of Bali still kept its charms. The best of Indonesia can be found away from Bali: try adjacent islands like Lombok and Java, the spectacular Komodo islands and rural Flores, or go further into Sumatra, West Nusa Tenggara, or Sulawesi. Why: Something quite incredible happened in Armenia in 2018: the people peacefully protested its dictator, who eventually issued a polite mea culpa and promptly resigned. There’s now a real sense of positivity in Armenia and among its global diaspora, which makes now an excellent time to visit. Nevertheless, it’s still a very poor country; its landscapes dotted with Soviet-era relics and ladas still drive the streets. It might not yet have the more mainstream appeal of neighbouring Georgia, but you’ll love Armenia if you’re into places that are off the usual trail. I had the great fortune of visiting during Vardavar, when the entire city of Yerevan fights each other with water pistols, balloons, and buckets. Even the police and fire brigade join in! Why: Welcome to South America’s ultimate cheapie destination, where you can get by on just $20 a day. 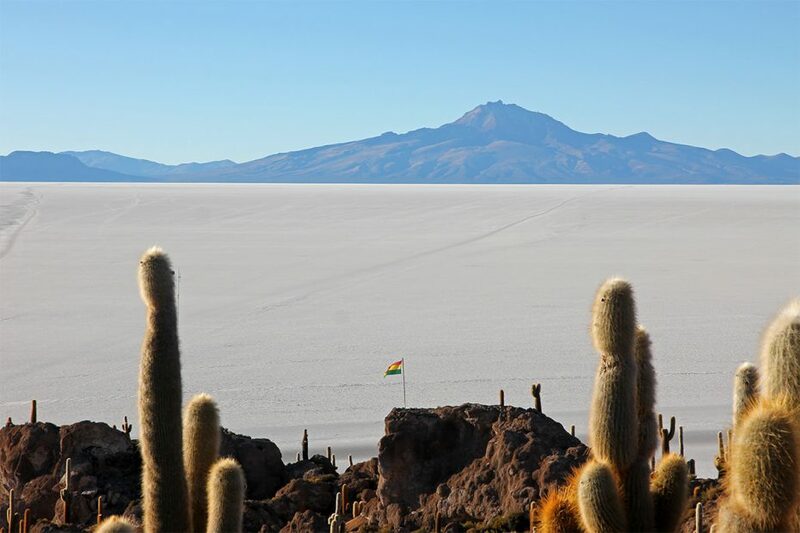 Traveling in Bolivia may at times be slow and uncomfortable, but it also has some of the continents’ most amazing sights, such as the world’s highest lake Titicaca and the jaw-dropping and otherworldly salt flats of Salar de Uyuni. If you’re an adventurous traveler and not so easily fazed by Bolivia’s remoteness then you might just want to book your tickets straight away. Not many airlines fly to Bolivia, but the country combines pretty well with Peru, where Lima has many international flight connections. Why: Forget about Narcos; today’s Colombia is a much more positive and welcoming place, as increasing numbers of tourists are now finding out. Exchange rates between the Colombian peso and USD or EUR also remain favorable, making it 30% cheaper to travel there now than when I visited just a few years ago. The country will give a perfect taste of the South American continent, as you have both the Pacific and Atlantic coasts, the Amazon rainforest, and the start of the Andes—all within relatively easy reach. I loved the Colombian culture and its incredibly welcoming people. It might be a cliche, but it’s the people that truly make Colombia one of my favorite countries in the world. 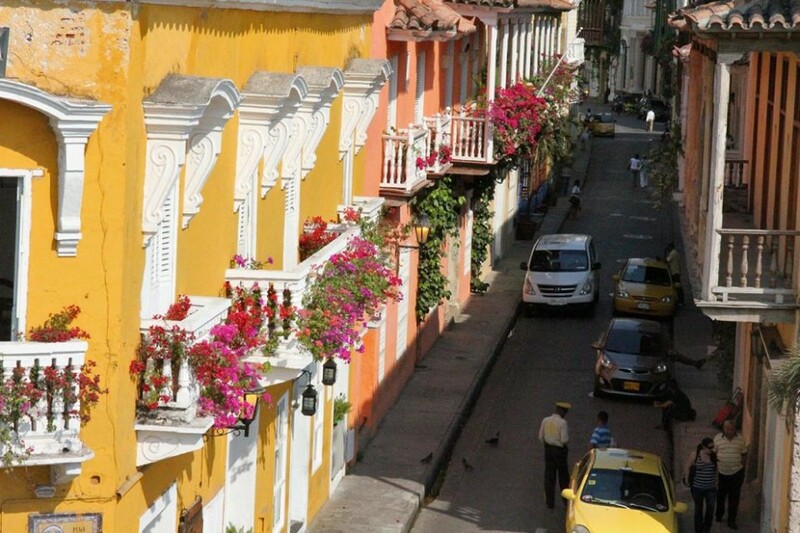 I think the cities of Medellin and Bogota are also among the most captivating on the continent. Don’t miss: seeing the world’s tallest palm trees! Why: You’ve probably heard of Angkor Wat— a vast temple complex that was once the heart of the ancient Khmer empire. This sprawling site is highly worth a visit, especially if you take the time to go beyond just the central temples. But there’s so much more to Cambodia. Its islands remain pleasantly undeveloped (at least, for now). Quiet Mekong towns like Kratie will give you a true taste of Southeast Asia. While Cambodia is undergoing some devastating deforestation, its jungles in the southwest have luckily been spared. 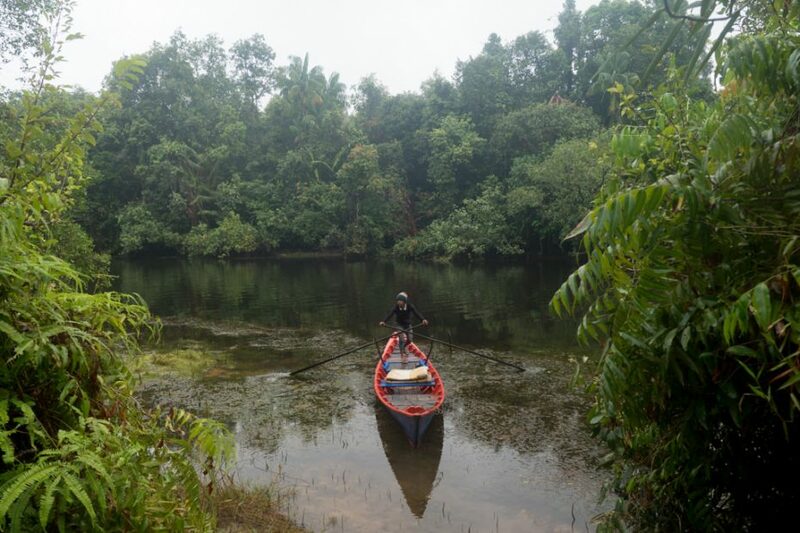 Last year I went river boating and hiking in the Cardamom Mountains, and I highly recommend seeing these pristine rainforests for yourself. Why: As any in-the-know travellers will tell you, it’s not actually Thailand that’s the first choice for amazing tropical beaches these days. For this you go to the Philippines. But even though this country has over 7000 islands, it’s not just a beach-focused one-trick-pony. 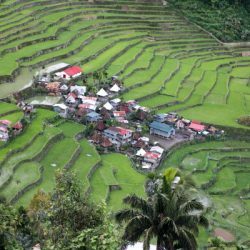 Culturally it’s also a fascinating place, with its mix of Asian and Spanish/US colonial influences, incredible ancient rice terraces in the north, and countless opportunities to experience nature everywhere. 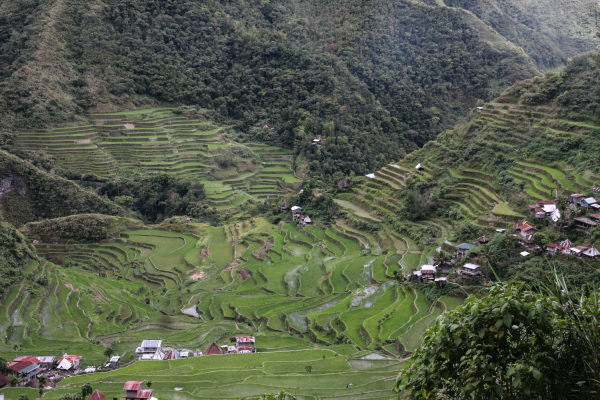 When you mention Southeast Asia most people will think of starter countries like Thailand or Vietnam, but it’s actually the Philippines that has given me some of the most epic travel memories. The island of Palawan is a current backpacker favorite, though I also highly recommend the less crowded and more diverse central Visayas (like Cebu, Bohol, and Siquijor islands). You won’t be disappointed. Why: Okay, I wrote in the introduction that I’d been to all of these countries, but the only exception in this list is Ukraine. I haven’t yet been, but rave reviews from my traveler friends compelled me to add it. I think it deserves a spot on this list, as it’s possibly the cheapest country to travel in Europe. Yes, there is still a simmering conflict involving Russian-backed separatists in the easternmost region. But if you avoid this remote area you’ll find that everything in Ukraine is perfectly fine. 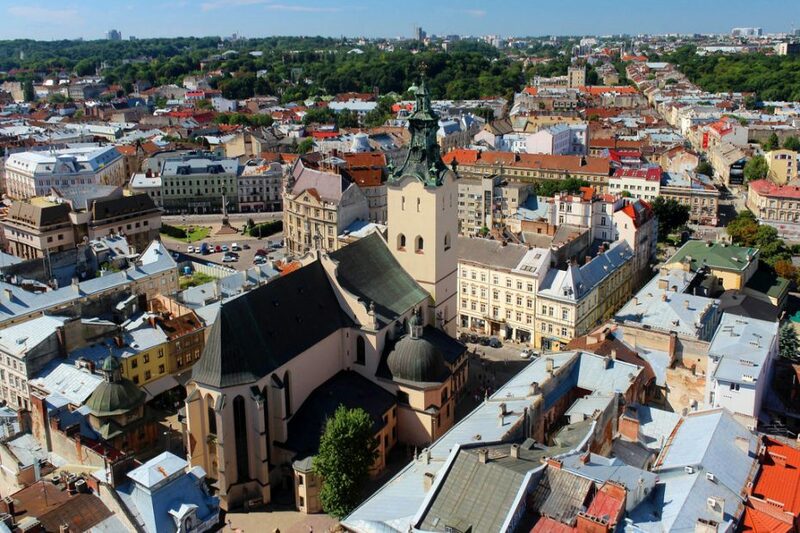 The coastal city of Odessa on the Black Sea is a traveler’s favorite, while the beautiful city of Lviv (close to the Polish border) is hotly tipped as offering some of the best value in Europe. Some digital nomads told me of renting a beautiful modern apartment in Lviv for 200 Euros. No, not per night, but per month. Why: “See it before it changes,” is the familiar refrain when it comes to Cuba. There is a sense that one day it may be overrun by mass tourism from the US, though following recent US policy reversals that day seems a little more distant again now. Cuba used to known as an expensive place, when it was focused mostly on filling its state-run luxury hotels with high-spending tourists. These days it can be quite a bargain, especially once you get out of central Havana. It’s also perfect for getting a truly local experience. Long before Airbnb was even a thing, Cuba already built up a huge network of family-run Casas Particulares offering affordable and charming local accommodation. With barely any internet access and vintage cars still driving through the streets (not to mention all the rum, sun, and salsa), spending some time in Cuba is guaranteed to be a unique experience. 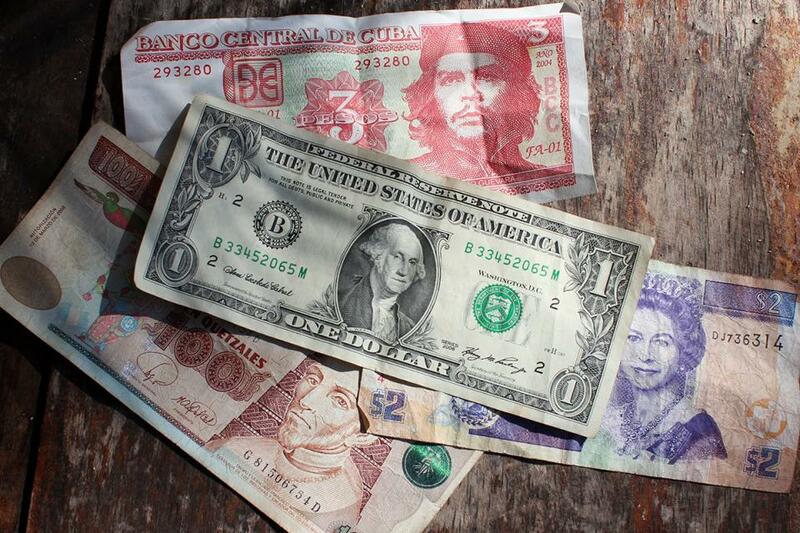 Note: Cuba can be waaaay cheaper if you manage to pay in the local currency instead of the CUC tourist currency. A mojito in central Havana might cost $8 on the tourist prices, but $0.30 locally — though you have to be pretty savvy to find these local prices. Why: Costa Rica may be the mainstream favorite in this region, but it’s also hella expensive. Guatemala is not only a lot cheaper (by at least half as much), but if you ask me, it has a wow-factor that simply no other country in Central America can match. Hidden in its northern jungles are the Mayan temples of Tikal, a stunning sight especially at sunrise. 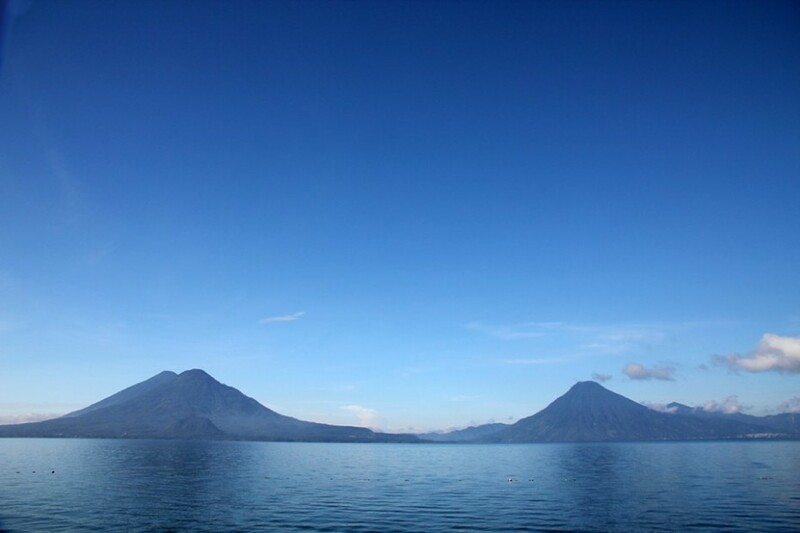 Equally breathtaking is the highland lake of Atitlan in the south, ringed by volcanoes and quaint villages where the pace of life is delightfully slow. And don’t miss Semuc Champey, a great place to explore river caves by candlelight and swim through cascading pools in the jungle. And the best part? Many a traveller ends up spending under $25 a day in Guatemala. Why: Popular? Very. But Thailand can still be one of the cheapest countries to travel. The further away you get from the most commercialized beaches, the better it gets. Head all the way to northern Thailand to the Chiang Mai region, and you’ll be in budget travel heaven. Here amid the rice fields, Buddhist temples and hill tribes you can find some of the best-value accommodation anywhere—whether you’re looking for a backpacker dorm bed (from $5) or a comfy hotel with swimming pool (from $30). 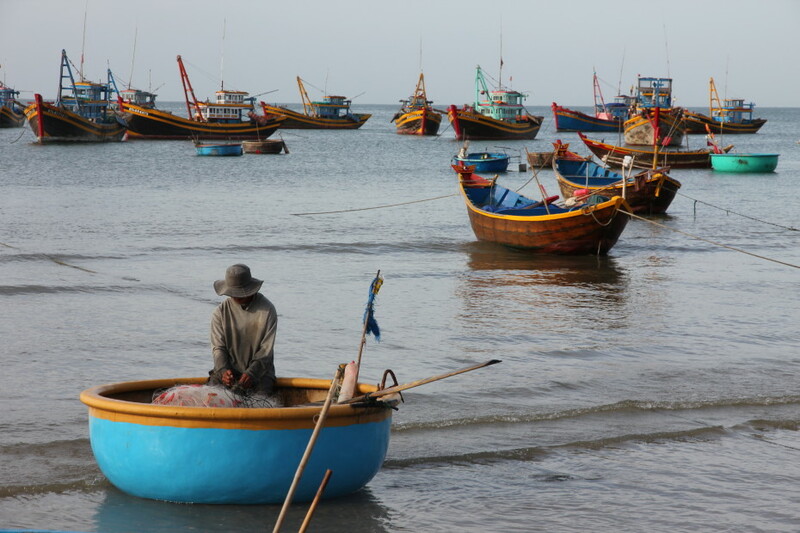 Much of the Thai coast has fallen prey to overtourism in recent years, but with the right itinerary, you can still avoid the crowds. For Thai islands with a laidback vibe, consider the Koh Chang archipelago in the east near Cambodia. 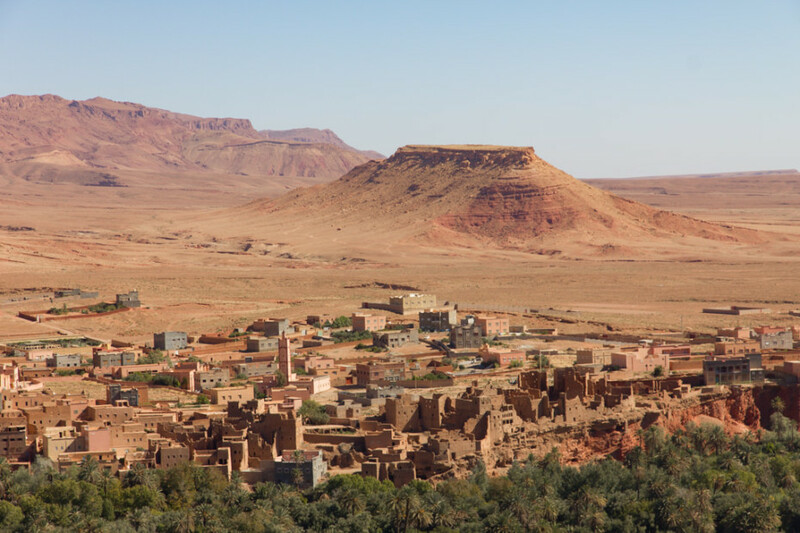 Why: Morocco is a fantastic budget getaway given that it’s the most stable country in North Africa and just a stone’s throw from Europe. It’s quite cheap, though only if you manage to steer clear of the pushy salesmen trying to sell you overpriced rugs! Why: From the beautiful chaos of Hanoi’s Old Quarter to the serene Hoi An riverfront adorned with colored lanterns, Vietnam is truly a country full of contrasts. Unfortunately, one of the downsides of Vietnam is that it can be highly focused on packaged mass tourism, which can be felt especially strongly when touring Halong Bay or the Mekong Delta — but strike out on your own and you’ll be able to get a true taste of this exciting country. It’s also among the cheapest countries in Asia: eat local and you’ll struggle to spend more than a few dollars per meal, and locally brewed beers cost as little as $0.20 a glass. P.S. Keep in mind the budgets listed here are only suggestions. It always depends on the individual! The suggested budgets are per person and don’t include one-off expenses like flights or travel insurance. Backpacker Budget: this assumes you’ll stay in hostel dorms or share rooms in cheap guesthouses. You’ll eat mostly local food in cafes/eateries and use local transportation, and you avoid expensive private tours. Mid-range budget: this assumes you’ll stay in nicer B&Bs, local guesthouses or budget hotels, regularly take day tours and other organized activities, and have sit-down meals in a nice restaurant at least once a day. Has this article given you the itch to travel the world? 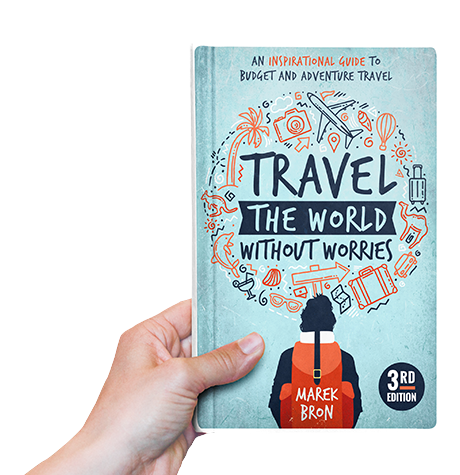 If you want to jump into the deep end of travel, you might want to check out my inspiring guide Travel the World Without Worries, in which I tell you exactly how you can find the time and money to go on an epic adventure! What countries are top of your list? Leave your comments below! Feel like travelling around the world? Yeah the peaks are across the border, but a lot of folks love to explore southern Argentina with those pointy peaks visible in the background. El Chalten seems like a great place to do that! One of the common mistakes in blogs like this is the information about Argentina. Yes, the amount of pesos you will receive is a lot higher BUT inflation is at record pace. The cost of a lot of things has gone up making it a not so cheap destination. Wow, great information! I am curious to know more about Laos and Morocco! I would suggest Thailand and SE Asia as a great place to start! In the past few years I have been to all these countries except Bolivia. The first of this year I was in Myanmar, yes they have a political problem but the citizens of the country in general and the fledging tourist industry could really benefit from your travel dollars. Things are unbelievably inexpensive if you desire to travel frugally. Several weeks ago I traveled through Eastern Europe and Albania is very tourist friendly and I found prices e trembly reasonable, especially quality cuisine. Very true. I haven’t yet been, but I hope to someday! I’ve only been to Romania on this list but there are so many other countries I want to visit! Nepal seems to pique my interest the most! When I went to Romania it was after a trip to Norway and Sweden – it was an insane difference of costs of travel between these countries! Great list! I hope to visit all of this countries one day. Hey Crystal. I’d love to go to Norway one day but the cost always puts me off. Maybe it’s a good country to go camping 🙂 Traveling in Romania is so worry free when it comes to the expenses. Montenegro is definitely a must see but it’s by no means cheap. It’s close to Croatia prices. After reading this and the comments here from Ukrainians, now I really want to visit Ukraine since they seem so excited for people to visit! Whenever I visit other countries I always feel a little shy or anxious because I feel like maybe the locals don’t want me there, so it’d be cool to visit somewhere where I know the people actually like to see tourists. Great collection. As a Ukrainian, I do appreciate you drawing tourists’ attention to Ukraine. I’ve read Tatiana’s comment on safety issues and Chornobyl. I can also vouch that it’s totally safe, but concerning Chornobyl, I have a bit different opinion. It’s a unique attraction in black tourism, frequently visited even by locals. Don’t postpone your visit as many buildings are likely to collapse in the nearest 5 or 10 years. Well, the picture representing Ukraine could be different anyway, I’d suggest placing downtown Lviv, or the Carpathian mountains. Finally, about prices. These are definitely ridiculous for tourists from Western Europe or the USA. I’m currently renting a 2-room apartment in Lviv. And my monthly pay is even less than 200 Euros—it’s only 150 Euros. Didn’t know Chernobyl was in such a state. I think we all assume it’s “frozen in time” and that there’s no hurry! So that’s good to know. Those prices are definitely super low for anyone living further west. Thanks for sharing your insights from a local Tatiana. I guess Pripyat is often the ‘cool edgy thing’ that gets people interested in Ukraine at first, and that’s probably quite annoying! I’d hate to be pigeonholing Ukraine in that way so when I update this page I’ll definitely take your suggestion 🙂 It’s actually Kyiv and Lviv that travelers speak about the most excitedly! Amazing list! I can’t believe I haven’t thought about some of these places, thank you for this. Nice post! this year, Thailand and Indonesia are on my travel list. Wow, great list and so many places to explore. Great list but I think for the average traveller Cuba isn’t what I’d call cheap. I’m itching to go to Morocco and Mexico. I dunno… everyone keeps saying that, but when I traveled in Cuba and stayed in casas particulares I found it very, very cheap. Maybe it’s just expensive if you stay in the resorts or only visit Havana’s tourist district? Hi Mareck, I have been 1 month travelling in Cuba, and I can not say that a room in family houses, was the cheapest considering how good is the lodging quality in Vietnam by instance. Yeah I think in Cuba they start at about $20 a night. It can be half that in Vietnam for sure. For the Carribean it’s not so bad. 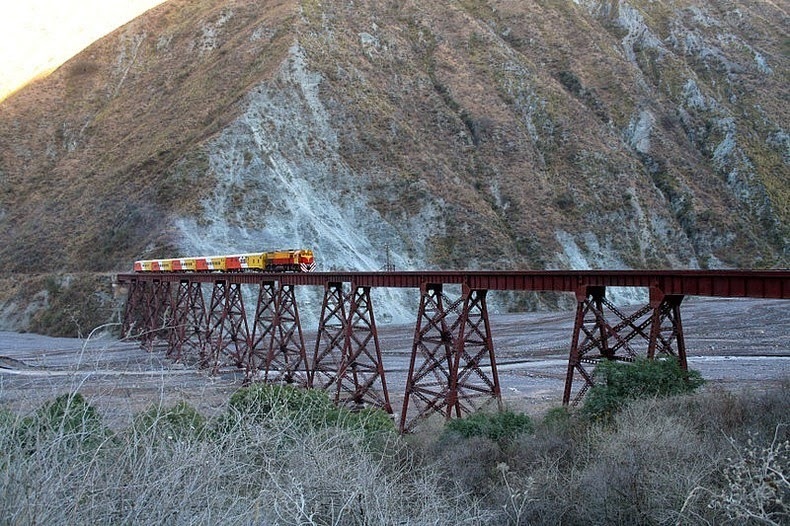 I found Morocco delightfully cheap and I liked the trains that were quite comfortable. The cheapest country I have been is Albania. It was a third of the price as Greece. I found India quite cheap to visit. I will visit Thailand in 2019. In the future I would love to visit Cambodia, Laos and Vietnam. I hope to visit Georgia and other countries near to it. It gives me a good options Thanks! By the way, I also nominate the Philippinesa since we already have Indonesia and Vietnam! Only my first experience on your site, which I found through your funny and ecclectic 91 lessons article. I really love this list- so many places that I really hope to experience. I am in love with Europe, and the Balkens, Ukraine and Georgia are all on the gotta sees. Looking forward to exploring your page more. Thanks! Great list! By far, the cheapest place I’ve travelled to has been Vietnam and now I have a new list of budget destinations to go to! Great diverse list! A few of these locations were already in my plans, but now I have to seriously consider some others. Thanks again and cheers! I think it’s a brilliant idea for traveling to 2018 and hats off to your great work. Georgia is my favorite and without doubt it would be really awesome If I were there ! Thanks for the list Marek. A lot of these places are on my travel list. A few of them I will finally get to see after years of dreaming, in a few months time when I will be backpacking through central and South America for 6 months or so. I am mostly looking forward to seeing Guatemala, Colombia, Peru and Nicaragua. I can’t wait to go adventuring! Amazing List when you have a low budget yet you wanna travel to foreign lands, very helpful thanks for sharing. I personally would love to visit Bolivia, Guatemala and Cambodia in 2018! Amazing places. Thanks for sharing this wonderful article with us. Thanks for the list. I think you’ve inspired a trip to Indonesia! Thanks for all the helpful advice, Marek. I’ve spent the last six months travelling around Europe. There were so many places I loved, including Athens, Palermo and Barcelona, to name a few, but Sofia in Bulgaria has stolen my heart. So much so that I’m returning for a full month in September. Prices are between a quarter and half of the prices found in most of Europe and the city is beautiful, laidback and friendly. After that I’m off to SE Asia for three months. By the way, I’m 64 years young and travel alone. Once again thanks for providing so much useful information. I love to hear that Sean, and it’s of course fantastic you’re doing these trips at your young age 😉 I want to be doing the same at 64! I must admit I’ve not yet been to Bulgaria but I’m very intrigued, and may end up there on an upcoming trip to the Balkans. Enjoy SE Asia and best of luck on your travels! Defo don`t miss coming to Bulgaria. You`ll be pleasantly surprised. One of the reasons why it`s not so popular is the lack of tourist advertising, but virtually every international traveler I`ve been talked to had liked my home country and said there is a lot of value here for the money you spent. It’s not all about Dubrovnik. There are lot of places to visit in Croatia. I only visit 2 different countries in my life. Need to up my travel game. Thanks for sharing this post. I can’t believe I’ve only been to 2 countries in your list! South Africa and Morocco. But I’m definitely placing the others in my bucket list. Thank you for the list. This gives me great options, Marek! Thanks! By the way, I also nominate the Philippines since we already have Indonesia and Vietnam! Hey Jacob! Budapest is SUPER cheap! & also my favourite country. Holy crap I had fun there. Even if it wasn’t cheap, spend all your money! It’s worth it. Thank you for sharing the awesome places to visit in 2017. Mexico, Nepal and Portugal are the best places to visit. This is an awesome list. Can’t wait to plan for my next travel adventure. I will surely consider taking one from this list. Thanks for this article. Hope you’d continue to inspire people to discover the beauty of the world. Thailand – the tonsai in the image doesn’t exist anymore and hasn’t for nearly two years. Sadly, It got bought by developers who were replicating Railay. Wow, that went fast! I was there just two years ago. Thanks for mentioning this, I’ll have to update it. Love this list, Marek! Almost all of them are on either my “recently traveled” list of my “want to get there soon” list–except for Mexico, because I’m there now! Nothing like good value when you’re on the road.